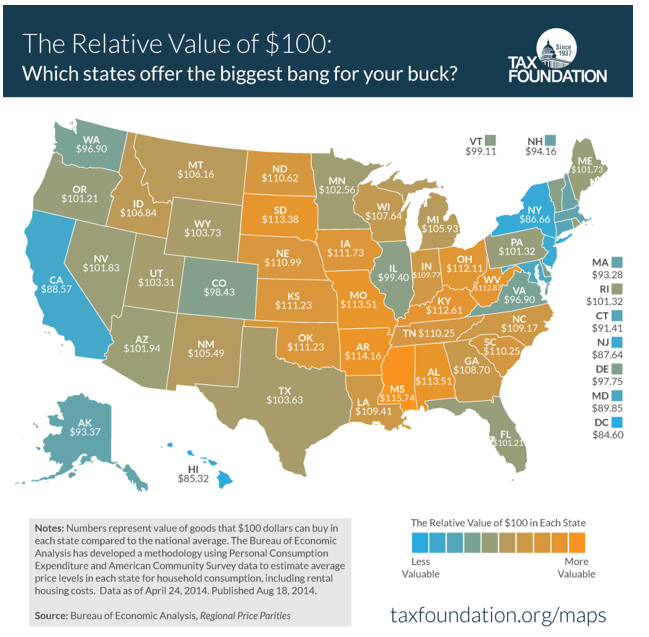 This is totally random, but I dig this graph that compares how much $100 is worth in each state. I immediately thought of my girlfriends and their residences along the East Coast. Graphs like this remind me that life isn’t created equal across the states. And, of course, I’d like to live a little while in an area where I won’t get the most bang for my buck. When I was looking for jobs at the end of grad school, I used this handy dandy Cost of Living Calculator from CNN Money to compare my current and ideal locations. I’d need a whopping $23,000 MORE in salary to live in D.C. 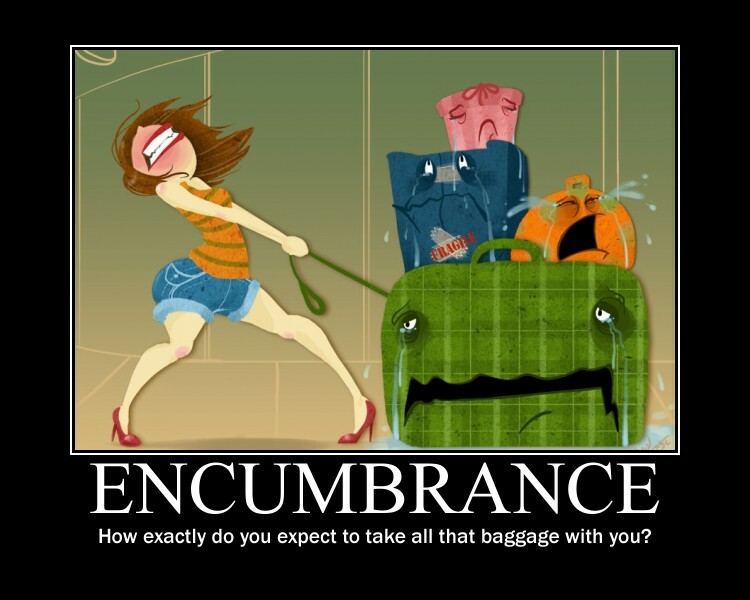 I promptly realized that I needed to keep my a$$ where I was until I got a more solid financial footing. I also read that a child born in 2013 costs $245,340 to raise. OMG! I’m keeping my A$$ childless for a while, too. According to this study discussed in The Washington Post, 50.5 percent of folks ages 18-29 are not saving for retirement. I wonder if the results are skewed by the people right out of high school. I didn’t start thinking about retirement until I earnestly entered the workforce five years ago, and I still feel behind. Nothing was being contributed the year I attended grad school. I’m worried about my younger brothers. Should I tell them to open at Roth IRA ASAP and just start adding $25 per month to it? In theory, they could have significantly more money in their accounts by the time they reach my age. Thanks, compounding interesting. 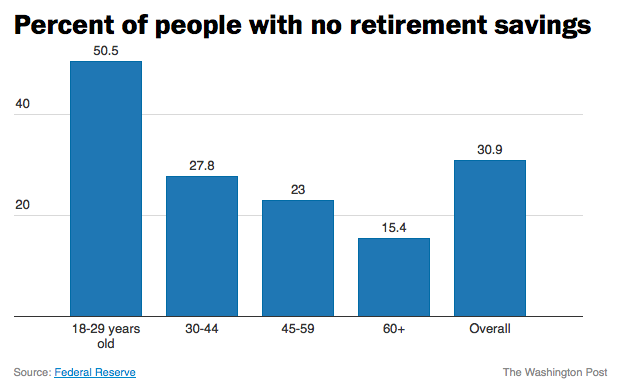 The report also says one in five people in retirement age don’t have any savings. I don’t want to be one of those folks. It’s time to actually figure out the amount of money I need to retire, ya know? So I won’t be the person in that Prudential commercial who’s blue piece of paper runs out before she reaches her final years on Earth. I want to retire and I want to do so comfortably. This past weekend was a long one. I split five days between both sides of my family in South Carolina and North Carolina. Before I left, I took out $200 from the ATM. That was it. That was the limit because (1) I didn’t want to spend much money, (2) I knew I would be eating at home with my family at no cost and (3) I just needed to keep my car gassed up. I came back home with half of that money. Woo hoo! Carrying just cash is a great practice in self-control in regards to spending. I realized that doing the 21-Day Financial Fast at the beginning of the year. Spending those finite green pieces of papers and shiny coins makes you think carefully before you get to a register. You naturally want to keep as much as possible because it’s a finite resource. Using plastic — debit or credit — gives you the opposite feeling. People are willing to pay twice as much for items when they use cards instead of cash, I’ve read. What’s funny is that a recent study shows that the U.S. is becoming a cashless society, and some folks cited the fact that they are more likely to spend when they carry cash. When I returned home, I decided to try to live on the remaining bucks in my pocket until Monday. I’ve already bought gas and groceries, and plan to coast throughout the weekend. I like that my online back account balance has displayed the same figure for several days. I’m going to make this $200 stretch for a long as possible.